So, a few weeks ago I got a super exciting invite to an event in London to celebrate the launch of Essentialle skin care. Unfortunately, I had uni that day, and I definitely don’t live close enough to London to pop down for a spot of brekkie, so I had to decline. However, their lovely team were nice enough to send me some ‘samples’ instead! I say ‘samples’, because they actually sent me TWO full-sized products, which was very bloody generous of them indeed! Essentialle were a brand that appealed to me from the get-go because of their company’s moral values. They are completely cruelty free, have a great purity about their products (using only natural and organic ingredients), and they also ship for free world wide, which is pretty incredible! So, like I said, I was sent two full-sized products to try. These were the ‘Revival Nectar’ nourishing face oil, and the ‘Remedy Multi-Active’ re-balancing face oil. Now, I’ll be honest, never in my life have I used a face oil. I have combination to dry skin, and using an oil has always seemed a little alien to me as I couldn’t understand how it would help my skin, rather than break me out. So Essentialle, you’ve definitely taken my face-oil virginity. I decided to trial the ‘Revival Nectar’ which claims to have restorative qualities, for renewal of dry and lack-lustre skin. Like I said above, I have combination to dry skin, so this seemed like the best fit for me. Zack (my fiancé) trialled the ‘Remedy Multi-Active’ oil for me, as this claims to be for oily, problem skin. We’ve both been using these products daily after our normal skin care routines, in order to give them a fair test. The products arrived in an adorable package (I’m a sucker for good packaging) and the first thing I noticed was that they were both in glass bottles. This really took me by surprise, I’m not sure why, but I actually really like this. As these products retail within the region of £62-£70, this packaging definitely added to the luxurious feel of a definite luxury skin care brand. 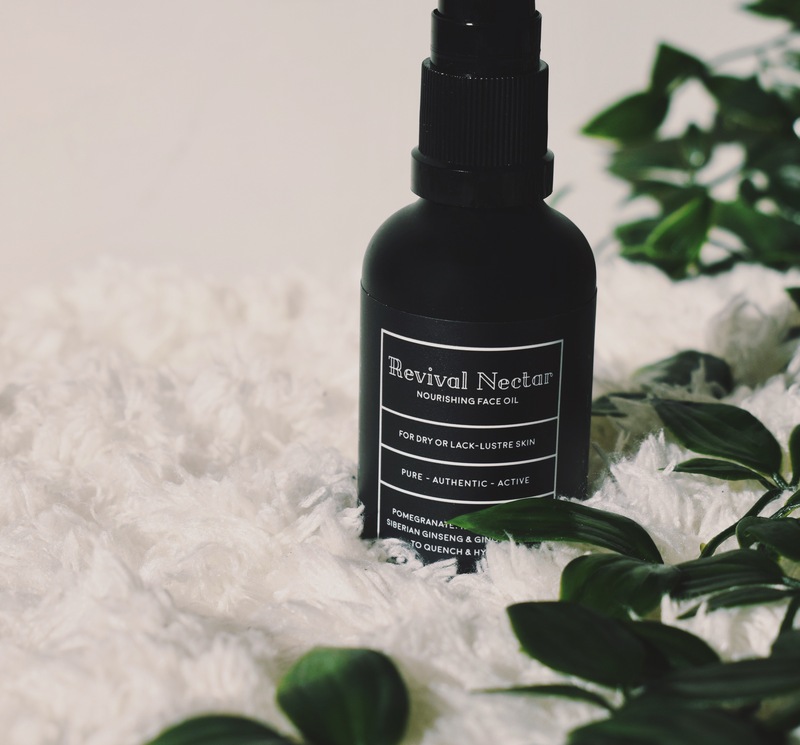 For the ‘Revival Nectar’, my first impressions were definitely the amazing smell of the product. It genuinely smells like the inside of a lush shop, and it gives me great enjoyment to slather it all over my face. I also liked taking the time to work and massage the product properly into my face. This is something that I am not used to doing, but I found it really relaxing and it was really nice to take a little time out of my daily routine just to focus on massaging my face. The product absorbed quickly, and Zack commented that my face smelt nice when I got into bed, WIN. For the ‘Remedy Multi-Active‘ oil, Zack followed me in massaging it into his skin. He also dabbed it on his problem areas, as advised by the instructions on the bottle. We both remarked that it had a nice scent, although we did prefer the ‘Revival Nectar’ scent. Zack didn’t enjoy the feeling of the oil on his face at first, but it quickly absorbed and off to sleep we went. Ok, this is going to sound ridiculous because it was way too early to judge at this point, but my skin actually looked incredible. I didn’t notice until I sat down to apply my makeup, but I was genuinely taken aback by my skin. It looked more glowy and healthy than I ever remember, and it actually resembled my skin before I had even begun to use make-up, the change was that different. Although the Remedy Nectar is not for problem skin as such, all of my break outs had also cleared up. I don’t know whether this was because of the product, or if this just happened to happen over night just as I had started using this product, but I was very impressed and I wondered how I had ever gotten by without it! Zack had a completely different experience with the ‘Remedy Multi-Active’ however, and found that it had caused quite a few break outs. However, he admitted himself that we couldn’t judge the products after one application, and noted that sometimes products have to draw out impurities before they can actually improve your skin. So, now we get to right now. We have both been using these products daily for 4 weeks now, and here are our final thoughts. I absolutely love the Remedy Nectar! I genuinely don’t know how I ever lived without it, it’s for sure my new holy grail that I shall be recommending to everyone. It makes my skin look so much clearer and brighter, I just love it! Zack didn’t get on with the Remedy Multi-Active. However, his skin is used to quite harsh formulas as he uses alooooot of skin care products, so I think this product just isn’t right for him. But, I have been using small amounts of this and dabbing it on my problem areas. It seems to be working pretty well for me, so I can’t personally fault it! So, there we have it! Quite a mixed review. 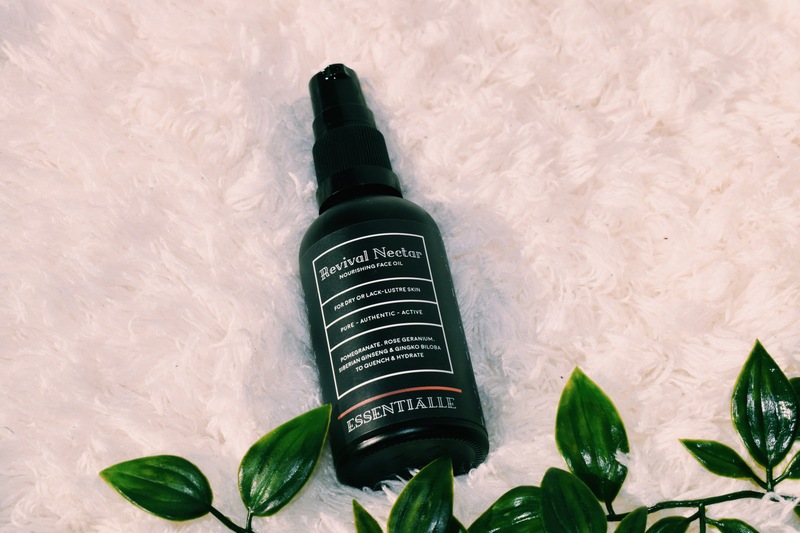 Thanks so much to Essentialle for sending the products over for this review, I am officially a fan girl of your brand! 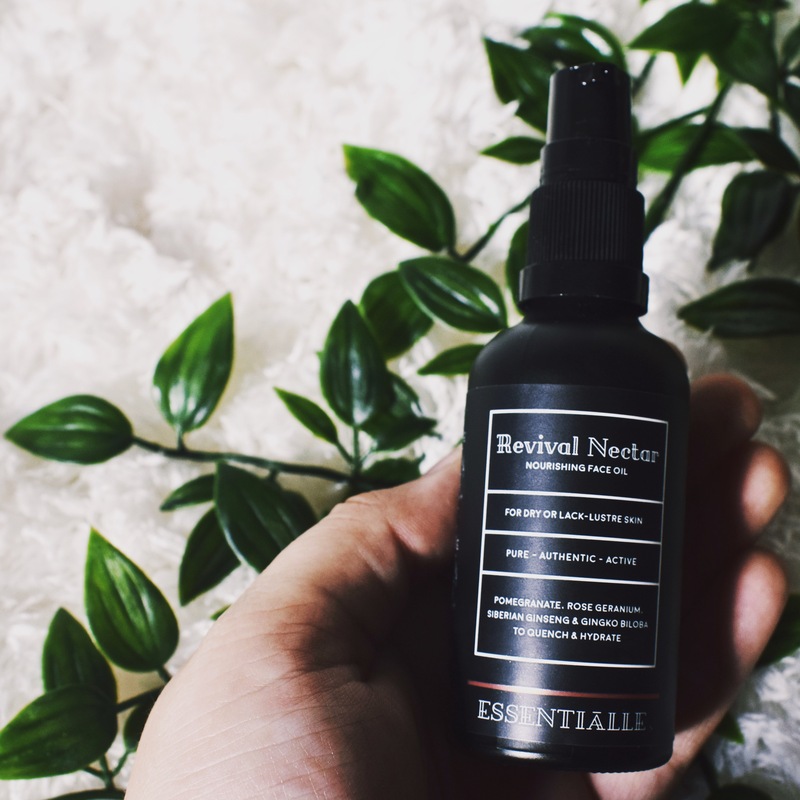 Have you ever heard of essentialle skin care? Which product would you like to try? Let me know in the comments! *Products gifted in exchange for review. For more information, see my disclaimer. Next Post Blogmas 2017 Day 4: Real VS Fake- The Christmas Tree Debate!